Foods and Fads at Afro Caribbean Events: Calling all 'sweet tooth's out there. Introducing Sorel or Zobo jelly ! Calling all 'sweet tooth's out there. 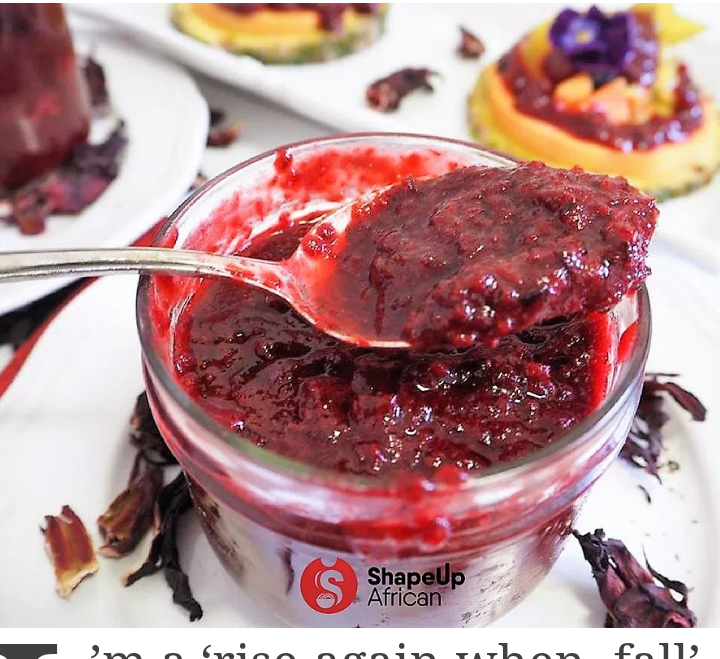 Introducing Sorel or Zobo jelly ! I see and I share viz..
Sorel or Zobo as known by the Caribbeans and Africans is often used to make refreshing inexpensive drinks on the continents. A previous blog in this thread refers to this. Today we see someone with a sweet tooth🤓(Zita Bernice Tiena) using it to make a jelly! A jelly with more benefits you can say. 😅.